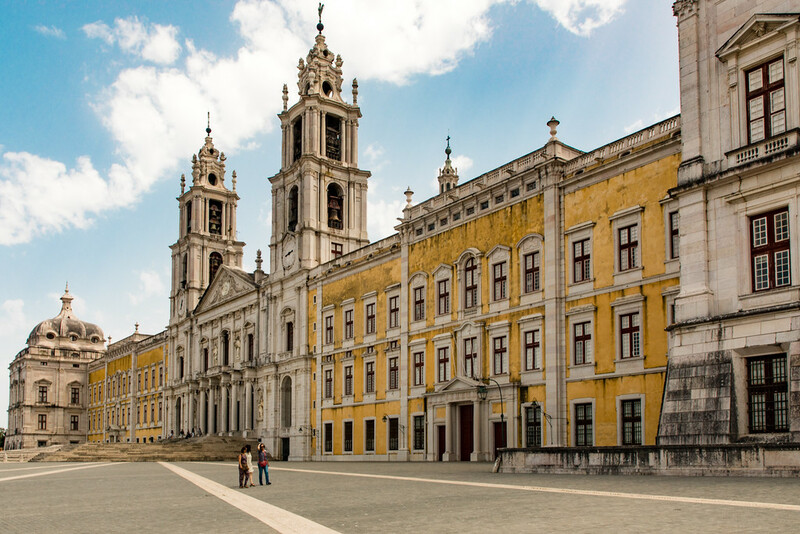 See These Beautiful Pictures of Mafra Palace and You Will Want to Visit! One fun Portugal Day Trip, less than an hour’s travel away from downtown Lisbon and our home is the charming small town of Mafra, a lovely place to spend a few hours enjoying a coffee and a Pastel de Nata while admiring one of Europe’s largest and most extravagant palaces, the Palacio de Mafra or Mafra Palace. This incredible building is huge and completely dwarfs the rest of the town. The front of the palace extends for more than 250 meters, and the two bell towers stand 68 meters high. Mafra Palace Interesting Fact Number 1: Bells! The bell tower at Palacio de Mafra house the world’s largest collection of bells!! It’s well worth a visit, but make sure you’re wearing comfy shoes because there’s a fair amount of walking. I’d suggest allowing at least an hour and a half to explore. One of the things Jon and I enjoyed was seeing the many people dressed in period costume, it really added to the atmosphere, but alas Jon wouldn’t play with at dressing up, so I guess I need to reserve that for another time. So when who and why was the Palace built? Well, the palace was built by King John V (1689 –1750) in thanks for having a healthy heir, a daughter who became the Queen of Spain. No expense was spared in the building, and it almost bankrupted the nation. 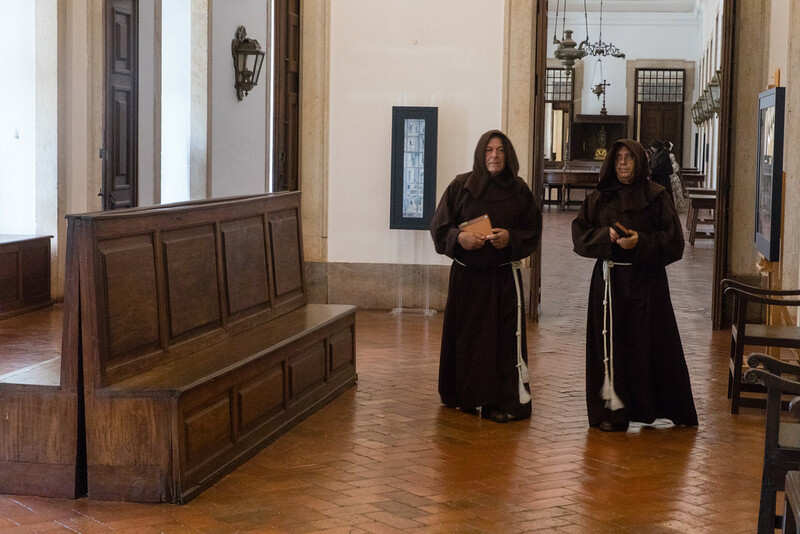 It features a huge monastery, an ornate basilica and a very impressive library that contains more than 36,000 ancient books complete with its own bat colony. Why the bats? 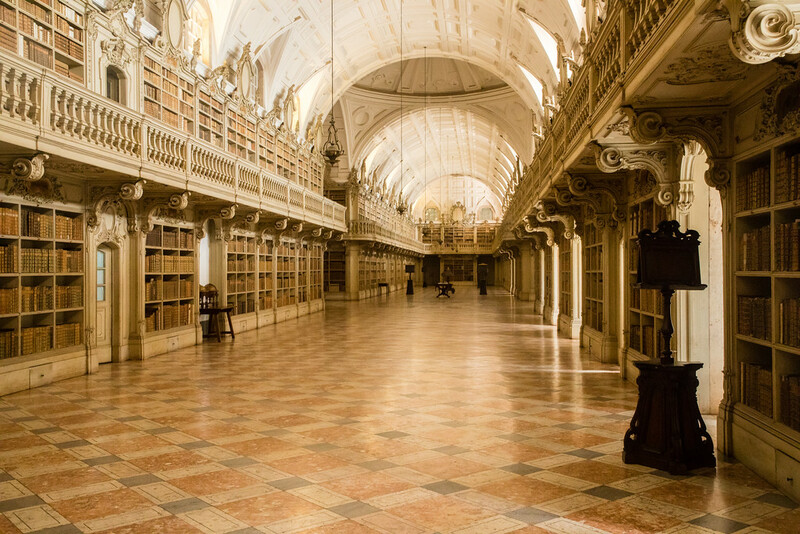 Mafra Palace Interesting Fact Number 2: Mafra Palace Libray Bats! The bats are there to protect the ancient books from insect damage and every night for the last 300 years, the bats are let out and eat up to twice their weight in insects. 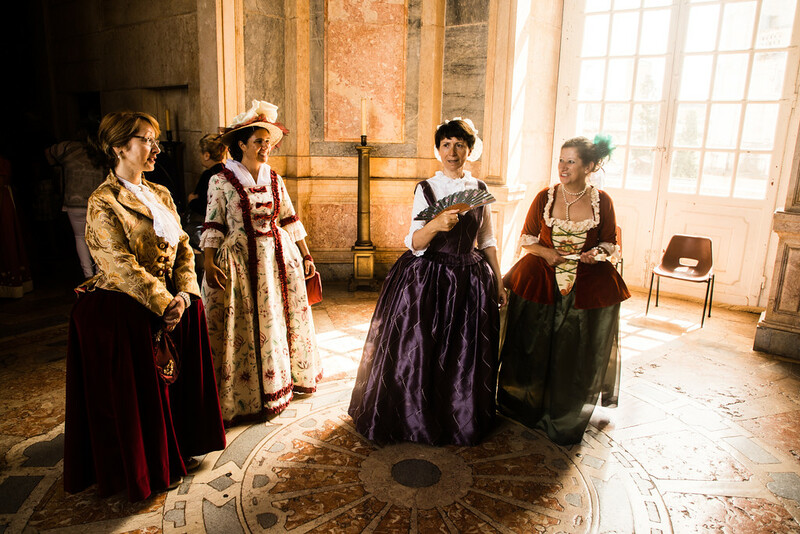 The entrance fee to the Palacio de Mafra is €6.00 and is free for children under 12. The palace is open every day except Tuesdays. So to make it a full day out, go to Mafra in the morning, visit the palace and then head down to the beach at Ericeira.